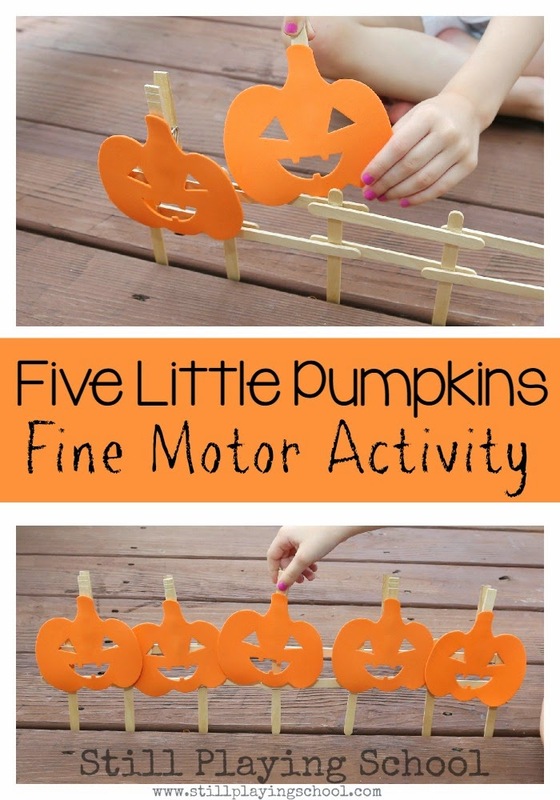 We came up with a fun and seasonal game for kids that is super simple to set up for a Halloween party! It also has the added benefits from being an oral sensory exercise. This Spider Race game resulted in tons of giggles, too! 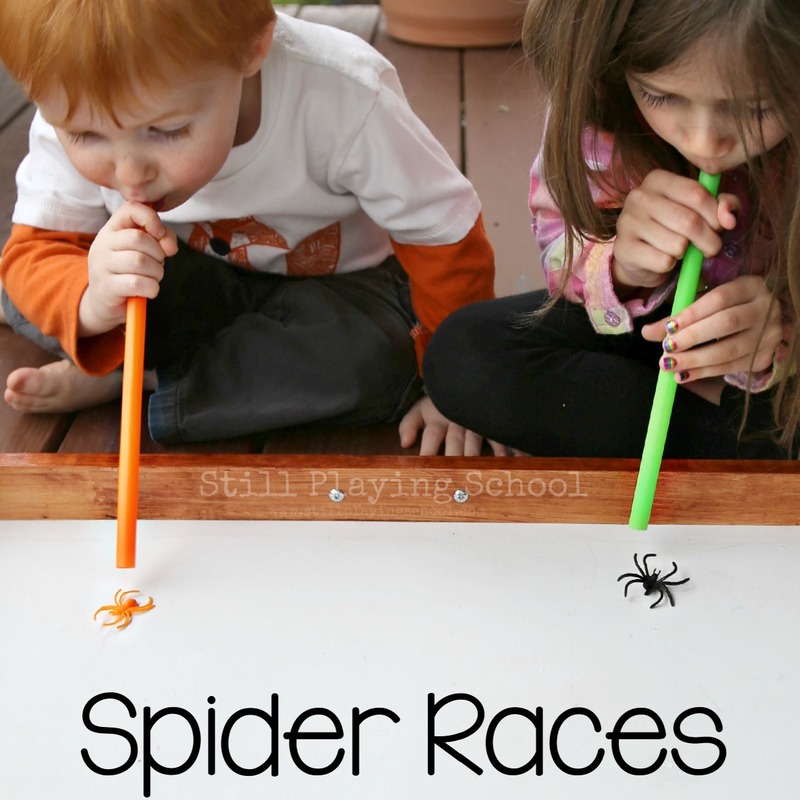 Hurry to race your spider to the finish line first using only a straw! We set up our Spider Races by cutting the ring portion off of plastic spider rings. 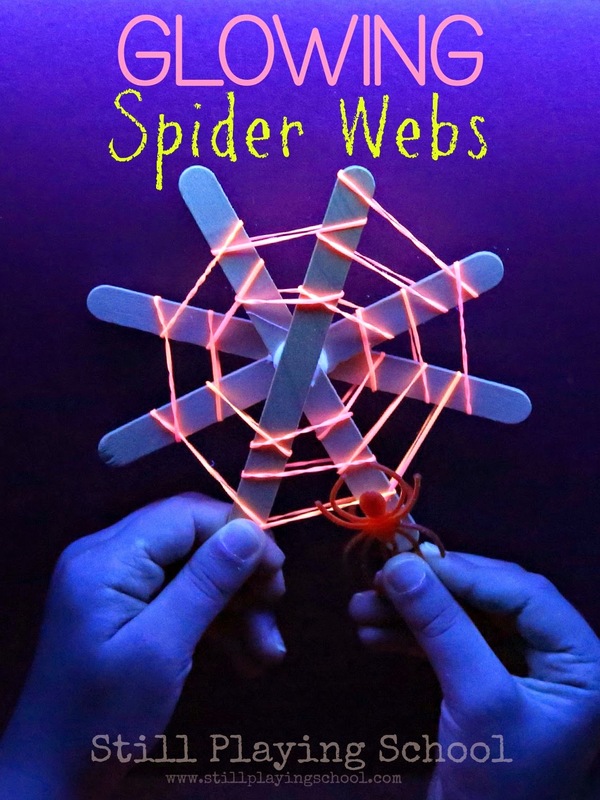 We used colorful spider rings so each player would know which spider belonged to them. Each child used a milkshake straw to blow their spider as quickly as they could to the finish line! We love these larger straws because we've been able to use them for other activities, too, like Spelling Spinners and Straw Color Sorting! 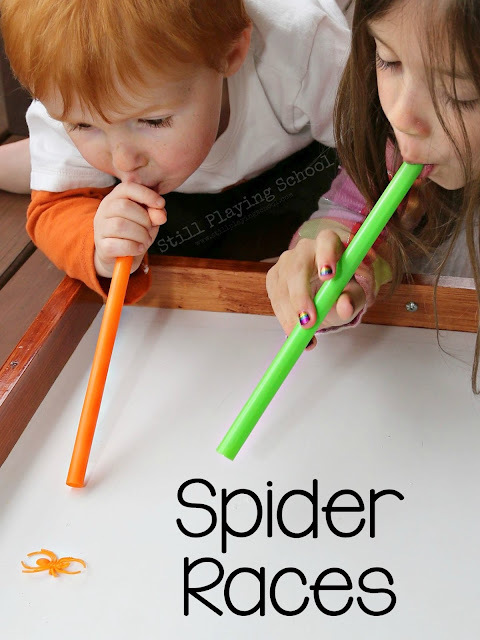 As our kids were blowing through the straws to race their spiders to the other side they were also building muscle strength as they worked their oral motor skills. We also use deep breaths as a calming technique to regulate over stimulation and strong emotions and these races practice deep breathing as well! 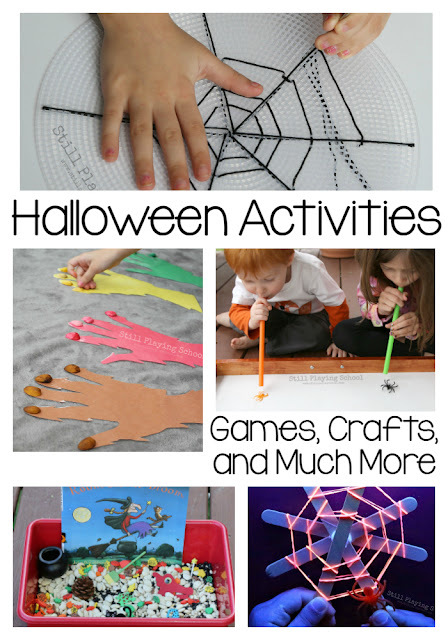 Click here for more brilliant Halloween ideas for kids! 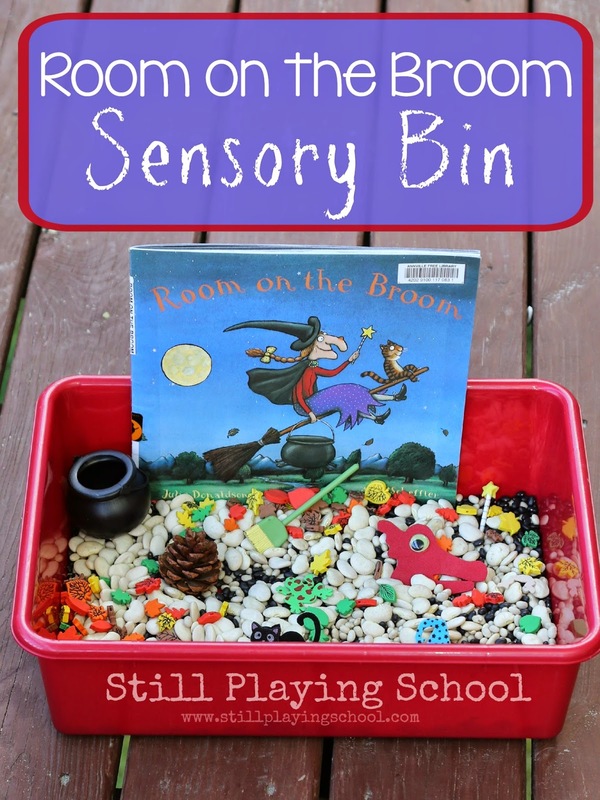 What my kids don't know and what most parents and even teachers don't realize is that this activity is actually meeting the sensory needs of our children! As a former teacher myself this idea and many others that I do with my kids is adapted from an activity in the Sensory Processing 101. Whether you know and love a child with Sensory Processing Disorder or you notice sensory seeking or avoidance behaviors (such as my daughter's sensitivity with clothing) in each and every child you work with, Sensory Processing 101 explains each sensory system and includes ideas about how to support every child's sensory needs. 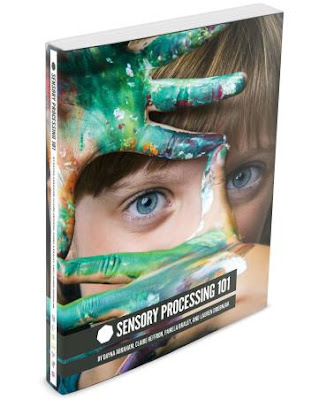 Buy Sensory Processing 101 in print! Buy Sensory Processing 101 as an e-book!